The CRS Ezzeloadore® is an optional tool designed specifically to increase the duty cycles of high capacity Mobile Harbour Cranes. Incorporating this patented system into your operation easily doubles the delivery of any bulk products. 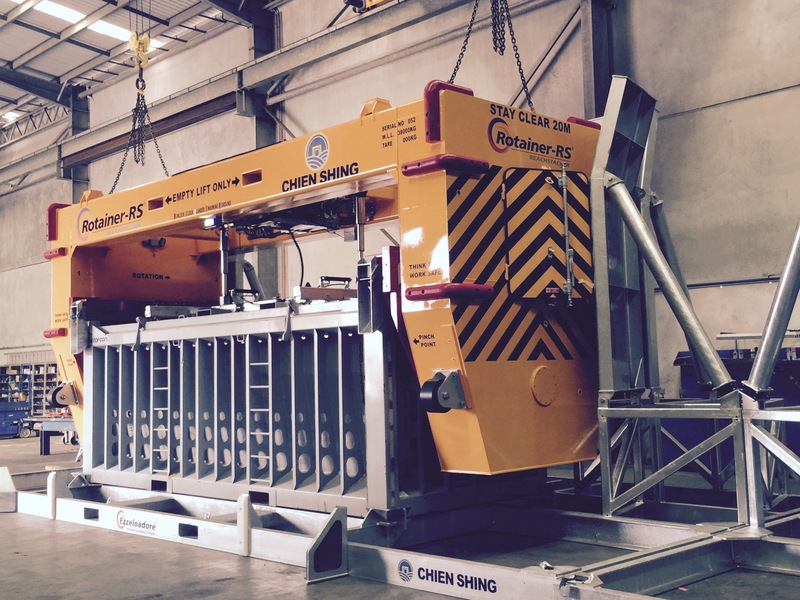 One Crane can discharge up to 35 containers per hour. It also dramatically improves safety by removing ground crew from the working area. Optional system available for Ships Gear Operations.